In the fight over control of the Senate, the battle is over—and the Republicans have won. Republicans picked up seats in Indiana and North Dakota, knocking off Joe Donnelly and Heidi Heitkamp respectively. Ted Cruz held off Democrat Beto O’Rourke. Rep. Marsha Blackburn was able to hold Tennessee’s seat for Republicans, as current Sen. Bob Corker makes his exit. Republicans successfully defended their incumbent seats in Wyoming, Nebraska, and Mississippi, with John Barrasso, Deb Fischer, and Roger Wicker respectively. If Martha McSally can keep Arizona in Republican hands and Dean Heller defends his seat, the GOP has a 53-seat majority. In Florida, incumbent Democratic Sen. Bill Nelson is hanging by a thread, trailing Gov. Rick Scott by over 58,000 votes (50/49). That would make it 54 seats—and Jon Tester in Montana and Claire McCaskill also await their fate with voters. Out of those two, I would bet that McCaskill falls, making it a 55-seat majority heading into the next Congress, the largest amount of GOP senators since Bush was in office. 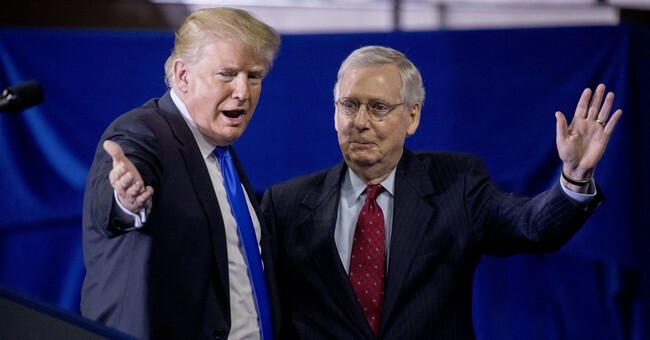 And thanks to Harry Reid, Senate Majority Leader Mitch McConnell will have no trouble maneuvering for votes for President Trump’s next Supreme Court pick. Either way, the GOP has locked down its majority in the upper chamber.